Home Election Is the Red Card Movement the alternative to the PDP/APC duopoly? In 2015, Nigerians were eventually presented with a formidable alternative to the People’s Democratic Party (PDP), and without haste, latched onto it. Prior to that time, there were alternative political parties, but none of these parties had the social capital as well as the political influence that the PDP had been able to garner over the course of 16 years. 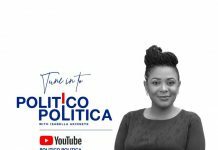 The PDP was made up of the crème de la crème of the Nigerian political elite; it had the structure, capital and the only one with a truly national reach. So no political party could boast of these resources. It was a typical Nigerian ruling party. It took a crack in the PDP and a series of errors on the part of the Jonathan administration for Nigerians to begin to seek for a formidable alternative. 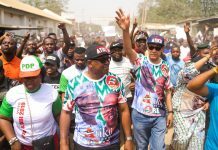 There is no doubt that a bulk of the political strategists that the All Progressives Congress (APC) relied on were former members of the PDP. These ex-PDP members were not only coming as aggrieved individuals of the then ruling party, they also came with a large number of followers, and that coupled with other factors was enough to put an end to the 16-year rule of the PDP, a feat that had never occurred prior to that time. The APC campaigned on the ‘Change’ mantra, with a plethora of promises, many of which are yet to be achieved. The APC-led administration has spent more than half of its term criticising the past administration, consciously doing all it can to make Nigerians believe that its non-performance is as a result of the monumental economic mismanagement by the PDP. Its anti-corruption war has been perceived by many to be one-sided, mainly targeted at the members of the opposition party, a major factor that has led to the swearing up of their rank by members of PDP who crossover to the ruling party, no single individual in the more than three years anti-corruption war has been successfully prosecuted and jailed. The war against insurgency in spite of the amount of capital and men committed to it rather than abate has witnessed a resurgence leading to more casualties. Herdsmen have become bolder and operate with an unprecedented level of impunity with their leaders publicly justifying the killings. Few months into the administration, the country was plunged into recession, the power sector has continued to defy all solutions – a similar situation experienced by past administrations. Though there has been visible improvement in agriculture, it is nothing when compared with the ludicrous promises the party made during its 2015 campaign. One thing many have realised is that President Buhari is not as special as we thought, he is not invincible, and it will take more than what we have now to tackle the current challenges. But do we have a third option? The former Minister of Education, Obiageli Ezekwesili recently launched a Red Card Movement against both the APC and the PDP for non-performance, perhaps encouraging voters to seek a third option apart from this well-known parties. How credible will the third option be if there are any, especially given the background of how we arrived at a second option in 2015. To get the second option, there had to be a split in the rank of the ruling party to give the opposition the needed credibility, social capital, strategy and social appeal, exactly what was needed to uproot the then ruling party. 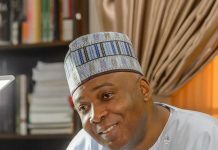 The Advance People’s Democratic Alliance (APDA) is perhaps one of the biggest of the newly registered parties, some of the members of the party were former PDP members who left as a result of the internal crisis. The Abundant Nigeria Renewal Party (ANRP) and the Young Progressive Party (YPP) are also options to look out for in the upcoming election. But do they have the national appeal and reach to confront the first two; eventually, it will depend on the electorate taking a risk. On Tuesday, former president, Olusegun Obasanjo in an 18-page damning letter urged Buhari not to seek re-election saying his administration has failed on many fronts. Speaking further Obasanjo added that Nigerians needed an alternative to the PDP and the APC saying, “We need a Coalition for Nigeria, CN. Such a Movement at this juncture needs not be a political party but one to which all well-meaning Nigerians can belong. That Movement must be a coalition for democracy, good governance, social and economic well-being and progress. Coalition to salvage and redeem our country. You can count me with such a Movement”. Ezekwesili’s movement currently fits the description of such a coalition. It has parleyed with the Independent National Electoral Commission (INEC) in recent weeks as part of its plans to enlighten the citizens to be actively involved in next year’s electoral process by getting their Permanent Voters’ Card (PVC). Will this Movement gather enough momentum and following before the election? Will it morph into a political party capable of wresting political power from the grip of the APC and the PDP? 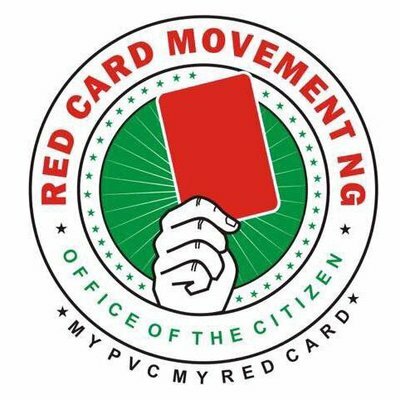 Nigerians are currently yearning for a formidable third option, the Red Card Movement may just be the answer. For my own view, I am expecting that we the youth of nigeria will be controlling the government of our great nation nigeria wheat powerful movement, and to my own suggestion is now high time for nigeria to deal with securities especially the loss of life and properties here in nigeria and I believe by 2019 nigeria will leganes guns for average nigerians God bless nigeria. Previous articleWill the 2019 election be a repeat of 2015?